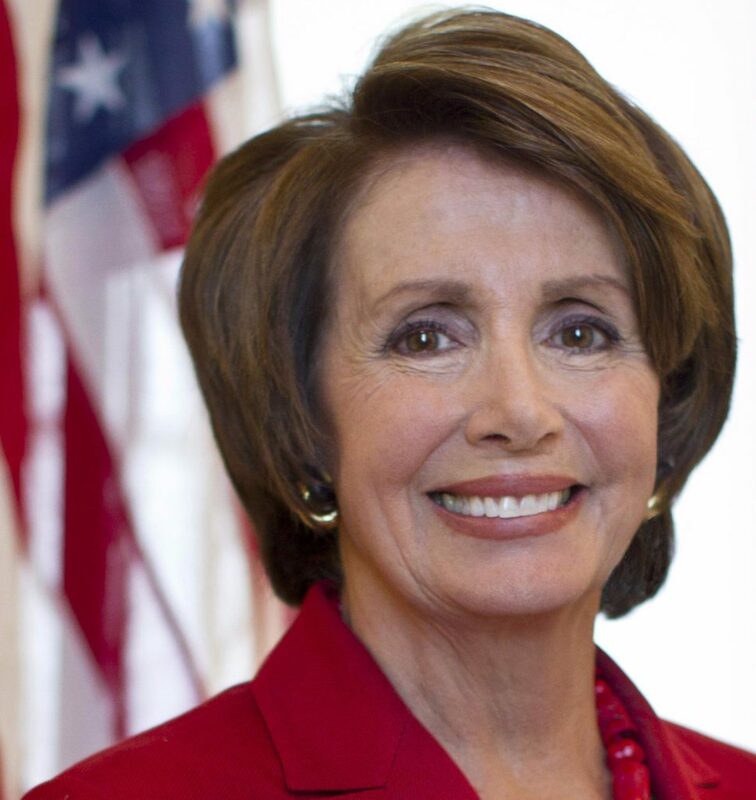 How Would You Answer Nancy Pelosi’s Letter? As a regular small-amount donor to the Democratic Congressional Campaign Committee (DCCC), I regularly get form letters from Nancy Pelosi. The latest one included the Official Democratic Unity Survey. For me, the top priority issue is opposing the plan by the Trump Administration and Paul Ryan to privatize Social Security and Medicare. I have worked for 50 years and contributed my share, so I’ve earned these benefits. There are 98 million people in the US over age 65 who likely feel the same way. But I wonder which of the 10 identified issues YOU think Democratic House candidates should focus on to win the 24 seats needed to take the majority back in the House. What would you add? You can answer in the comments or go to www.dccc.org/unite2018. ▢ Access to health care for all Americans. ▢ Keeping America’s promise to our seniors. ▢ Wall Street reforms and fighting corporate greed. ▢ Challenge Trump policies that threaten the human and civil rights of refugees and immigrants. ▢ Climate change and protecting our planet. ▢ Defending a woman’s right to choose. ▢ Protect and defend the rights of the LGBTQ community. ▢ Exposing and blocking attacks on voting rights. ▢ Increasing the minimum wage and reviving the American Dream. ▢ Investigating the Trump Administration. Frankly, I was disappointed to see that the economy was not spelled out as an issue. It’s the one issue that will win elections. Remember Bill Clinton saying, “It’s the economy, stupid“? Raising the minimum wage is part of that. You can disagree with me, but I think the Democrats need to spend less time on hot-button social issues, and more on economic development. It would be impossible to list all the problems we have, however, there is not one thing there isn’t a problem that needs to be addressed. It is all, no, but no list will make everyone happy. hillary clinton had money. trump had a message. democrats like pelosi need lots of money because they have nothing to say to voters only donors! bernie sanders had message and many small doners. hillary clintons message was its my turn and wall street fat cats donate to me or as its my turn! debbie and donna will “deal” with bernie. donate to the democratic party why? they only allowed keith ellison a token position when it looked like the sanders wing was about to leave in disgust and if kamila harris and corey booker run in 2020 the clintonista’s will only have their corporate establishment donors and the older n.o.w. women to vote for what ever old establishment dino they put up. As usual,the Disablity Community not mentioned,and she forgot that the http://www.adapt.org protests in congress months ago STOPPED TrumpCare. I agree Ed – the top issues should include Dark Money, rails, military waste, infrastructure. However, I do see a groundswell of support at meetings of Democratic precinct captains — more people than ever before, and more young people. I’d agree with you, but I’d go further than that. I don’t see any allusions or references to fixing the political power that money has in this country. We see vague references to ‘Wall St. and corporate greed’, but nothing technical. No references to the fact that taxes on earned income are double those on passive investment income and how CEO’s take advantage of this to legally structure their compensation as investment income, making the common person paying the difference. No references to the regulatory capture that businesses from a variety of sectors use in order to strangle out competition. No references to a bloated military budget, including a trillion each for F-35’s and nuclear arsenal modernization (yes, some are going to disagree with this, but humor me since some people would like to see that money going elsewhere). You get a reference to ‘voting rights’, but none to modernizing our electoral system away from the us-vs.-them, all-or-nothing, winner-take-all, first-past-the-post elections – the same election system that both parties use as a bludgeon toward those of us who don’t like what either side is offering with calls of ‘false equivalency’ and ‘lesser-of-two-evils’ and so forth. No references to gerrymandering, both partisan and bipartisan alike, which reduce the competitiveness and representativeness of our ‘democracy’. None to the fact that money rules the day – that the top 1%’s political views matter and, when it comes to realized legislative outcomes, the bottom 90%’s views… really don’t. None to education spending; this may be a state and local thing more than national, but it still matters an awful lot to a lot of us. None to infrastructure spending and rebuilding our interstate highway system or rail lines, which I think is a much better use of our money than continuing to maintain an arsenal of nuclear weaponry powerful enough to end humanity twenty-times over. I think the most disappointing thing politically about 2017 is that there’s a groundswell of support to oppose the latest mean thing that Trump said, but there’s almost no one looking at the sorts of things going on in our own backyards at the city, county, and state levels. I only very rarely see more than the usual suspects when I go to speak at calls to the public for the Pima County Board of Supervisors or the Tucson City Council. And it’s a damn shame too, since this is the level where a small group of impassioned citizens can have the greatest impacts. And I’m doubly saddened, because I see big giveaways to local development projects and special side deals given out at City Hall by a 7-0 Democratic Majority, while nationally, the Democratic Party is the party that says on paper that they’re against corporate welfare. Those are hard choices. All of those issues are important to me. But I see the greatest danger to our democracy to be the blatant efforts to disenfranchise millions of voters who would most likely not vote for Republicans. So, exposing and blocking attacks on voting rights would have to be at the top of my list.